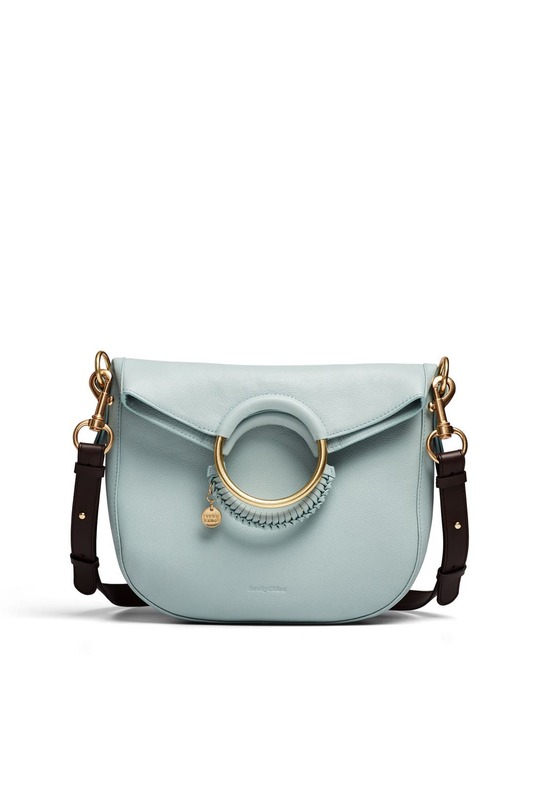 A contrast strap and whipstitched handle highlight this polished See by Chloe's signature style. 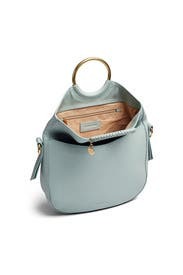 Also available in Black and Motty. 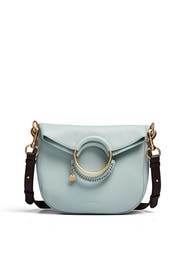 Icy blue leather crossbody with double ring handles and contrasting shoulder strap. Foldover closure, exterior slip pocket, and interior slip pocket. 22" strap drop. 9.75"W x 10.25"H x 3.25"D.